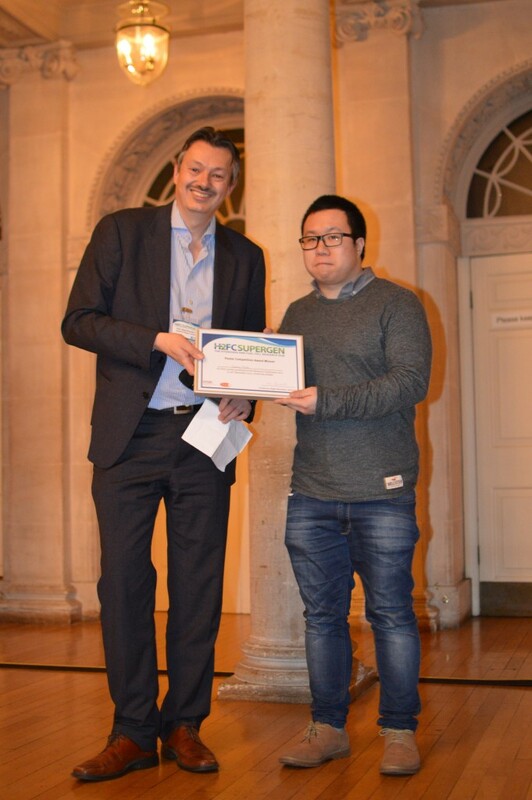 The Hydrogen and Fuel Cells (H2FC) Supergen Research Hub has had its 5-years anniversary event to celebrate half a decade of achievements in H2FC research across 21 leading universities in the UK. 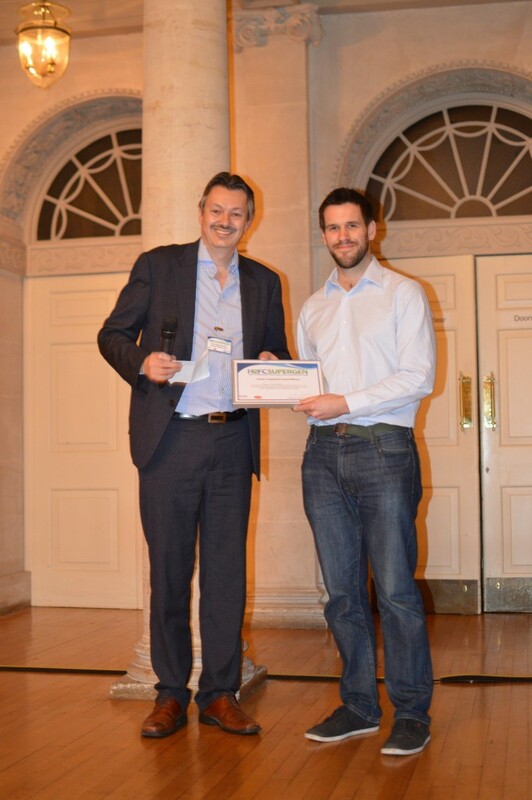 The day, which started with a buffet lunch, composed of presentations, followed by a drinks reception. Senior academics leading on projects in the areas of hydrogen production, storage and safety, SOFC and PEFCs, as well as energy systems, socioecomic and policy research, presented the key achievements and the real world impact made through the research funded and coordinated by the Hub in the last five years – also presented as the Five years of Impact Report. Guest speakers and the some of the Hub’s Industrial Advisory Board Members talked about the developments in the sector in the last five years, as shown by the programme below. Fuel cells are an emerging technology, and are again becoming of interest to a wide range of companies and other stakeholders. Imperial College has an international reputation across the fuel cell field, and can offer theoretical and experimental training in a wide variety of aspects of fuel cell technology, including underlying principals, technology status, and manufacturing, characterisation and testing methods. The course will be offered as five one day modules, which can be taken as one or more options. The course is designed for technical staff working in the fuel cell or energy sector, and for those interested in fuel cell application and development. The course consists of lectures and hands-on practical sessions. The International Conference “Hydrogen Bridge: Safety of High-Pressure Hydrogen Storage” is organised by Ulster University (Northern Ireland, UK) and Zhejiang University (Hangzhou, China), and will be held in Hangzhou. The Conference will bring together scientists and practitioners in the field of high-pressure tank design and manufacturing with emphasis on development of safety strategies and engineering solutions for hydrogen storage and applications. The conference programme covers strategies and recent progress in safety of onboard hydrogen storage; recent achievements in thermal protection of composite cylinders; novel solutions to increase fire resistance beyond car fire duration; advances in modelling and simulation of composite tank performance under combined pressure and fire load; review and development of regulations, codes and standards; analysis of available thermal protection methods. The conference programme, registration form, travel directions and other details may be downloaded at H2Bridge Conference programme. The 2015 Scottish Transport Emissions Partnership’s Annual Conference will build on the success of the STEP Conference 2014, and help to further widen engagement and collaboration between STEP and air quality stakeholders. STEP is delighted to announce that the Cleaner Air For Scotland (CAFS) strategy will be officially launched at our STEP Annual Conference on 4 November 2015 in Edinburgh. To find more, click here. As part of Imperial College’s Energy Futures Lab seminar series, Dr Javier Rubio Garcia will presents on his research on the potential uses for industrial waste water. Registration is free, and available here. Bringing together the entire hydrogen and fuel cell research community, inspiring collaborative research and driving innovation. We are pleased to announce the H2FC SUPERGEN is holding a Researcher Conference from midday 14th Dec – midday 16th Dec 2015 at the University of Bath. In-line with the ethos of H2FC SUPERGEN, this conference endeavors to bring together the entire Hydrogen and Fuel Cell research community. 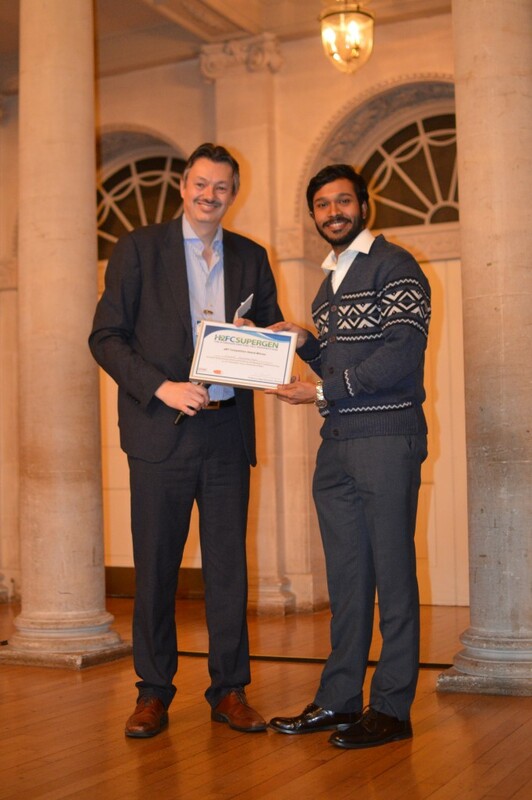 Following the success of previous years, this conference, held at the world heritage city of Bath, will have presentations and posters from researchers in the field, with participation of key academics, industrialists and government/policy advisors working across the field of Hydrogen and Fuel Cells. The conference will provide an excellent chance to network within the community. 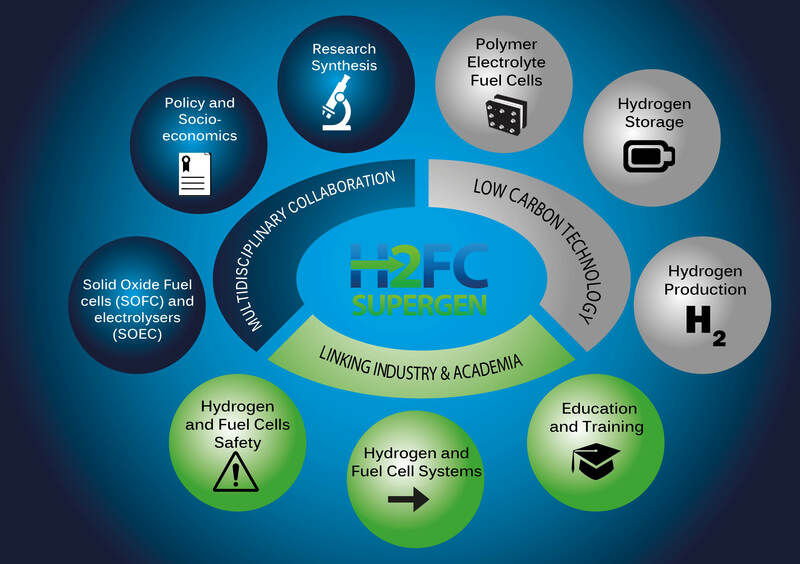 The UK’s first inclusive Hydrogen and Fuel Cell Research Network, H2FC SUPERGEN is delighted to call for abstracts for our annual ‘Researcher Conference’. 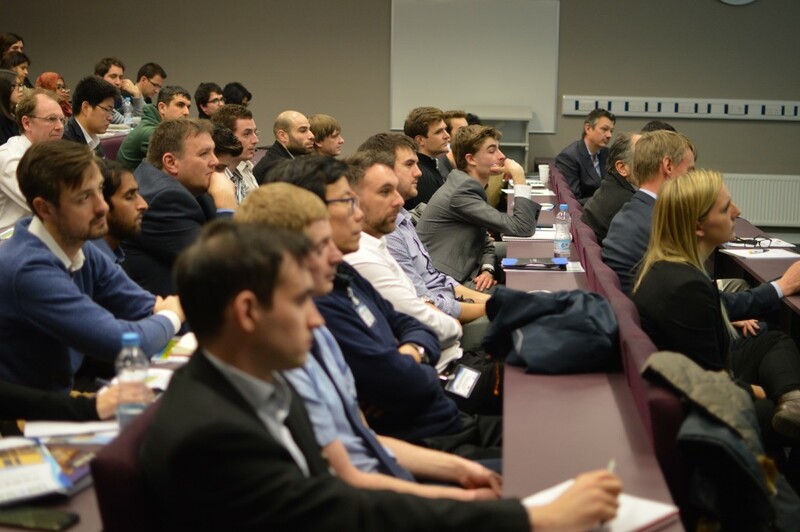 Following the success of this event last year, the conference aims to provide a platform for PhD students, PDRAs, and early career researchers / academics to present their work through talks and poster sessions, alongside leading academics, and industrialists working in Hydrogen and Fuel Cell research. We are pleased to announce the H2FC Supergen are holding a ‘Researcher Conference’ from midday 16th December-midday 18th December 2013 at the University of Birmingham. 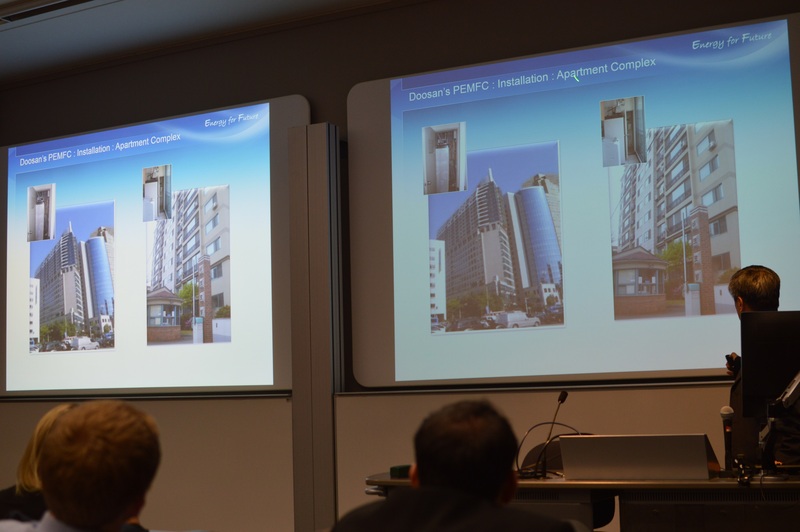 The conference aims to provide a platform for PhD students and early career researchers to present their work through talks and poster sessions, alongside leading academics and industrialists. The conference, in line with the ethos of H2FC Supergen, endeavours to bring together academics, industrialist and those working in government across the field of Hydrogen and Fuel Cells and will provide an excellent chance to network within the hydrogen and fuel cell communities.